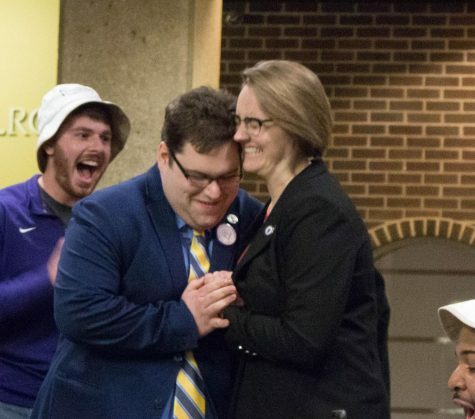 Editor’s note: The Northern Iowa Student Government election commission found the campaign of Jamal White and Tristan Bernhard, who won this year’s election, guilty of violating election rules regarding the reporting of finances. 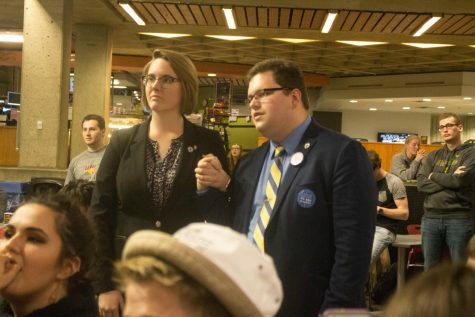 The commission said White used a student organization’s funds to purchase materials related to his campaign. Below is the complete public censure from the election commission. 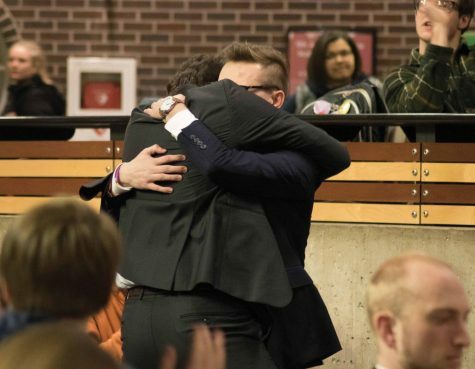 This is a public censure being released due to an allegation received about campaign actions that took place concerning the campaign of Jamal White and Tristan Bernhard during the 2017 NISG Student Body Elections. 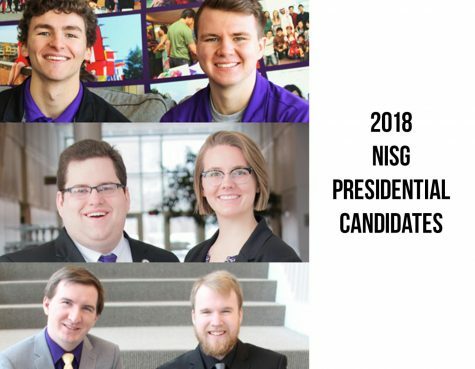 We as the Election Commission of NISG, consisting of: Nicole Bishop, Elizabeth Martin, Courtney Klein, Jamison Whiting and Ben Dzaboff are releasing this statement so as to foster a sense of transparency and to request NISG to assist us in passing legislation to improve upon our current NISG election rules and Constitution. This year with the circumstances that we faced we feel as though the current rules in a way inhibited us from doing the best job possible. We have provided links to the current constitution and election rules, for reference. We will outline the infractions of Jamal and Tristan’s campaign, and then we will provide our suggestions for future updates to the election rules and the Constitution. 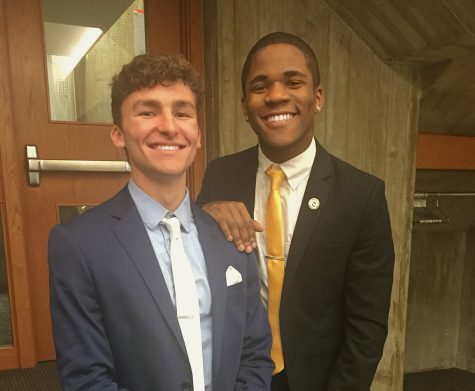 Guilty: Jamal White used AMA (American Marketing Association) student organization’s funds to purchase a SnapChat Geofilter that was not shown on the campaign’s final financial report. Further, the AMA’s debit card was used to purchase posters from CopyWorks. 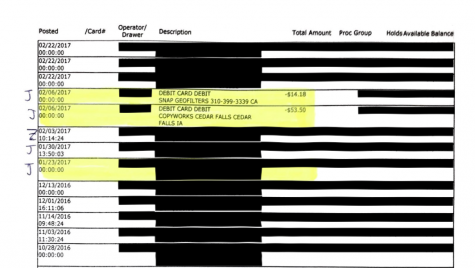 The posters were shown on the finalized finance report and are accounted for, but were still paid for by the AMA’s debit card. The party was found guilty for violating the Election Rules Section 7, Subsection B, Clauses 4 and 5, for failure to report all financial expenses. However, this is fundamentally a student organization problem because the money was paid back in full to the AMA from Jamal. After all of the money was allocated, the total amount was not over the allowed spending cap that the Election Rules grants (Section 7, Subsection B, Clauses 1 and 2). 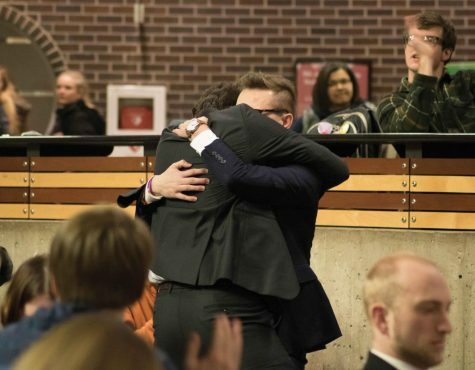 The campaign team of Jamal and Tristan were found guilty for failure to submit a comprehensive finalized finance report. The use of AMA funds to purchase materials is under the control of the student organization. At this time, the Election Commission feels that the only sanction available, as dictated by the election rules, is a Public Censure. We could not reprimand the campaign team of Jamal and Tristan more effectively because of the limitations of the rules. Adding a clause to Section 10 to acknowledge the Election Commission has the power to issue sanctions after the results have been verified. The clause could possibly mention something along the lines of the next ticket to receive the majority of public votes is the winner of the election, if the allegation is bad enough. Adding a clause to Section 10 to acknowledge the Election Commission has the power to issue sanctions during polling hours. Adding in a clause about a strict appeal process to challenging the results or procedures of the election. Adding a timeline to the Election Rules for reporting potential infractions. The Election Commission needs adequate time to thoroughly analyze potential allegation. 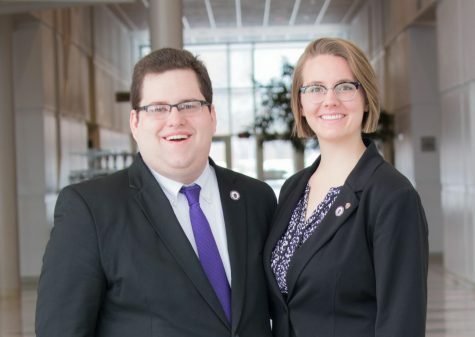 Adding a clause so the candidates and campaign teams have to follow the constitutions of the student organizations on campus if they are going to be working with them. I don’t see how this affects the votes of other individuals. If they didn’t rig the election then we safe, we didn’t get a very rude person as president. 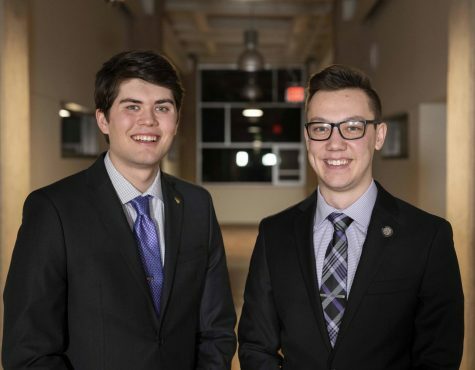 And if the money has been paid back in full let’s move forward and better the process and get funding for student government elections in future.